Our project for young people age 13-26 year olds took place during the school year 2010/2011. Twelve young people took on the challenge to research the history of this amazing site to help create short films and site specific installations for a live audience. Abney Park in Stoke Newington, London, formerly one of the ‘magnificent seven’ garden cemeteries of London, is now a woodland memorial park and important Local Nature Reserve. The park originated in the eighteenth century when the land was laid out by Lady Mary Abney. 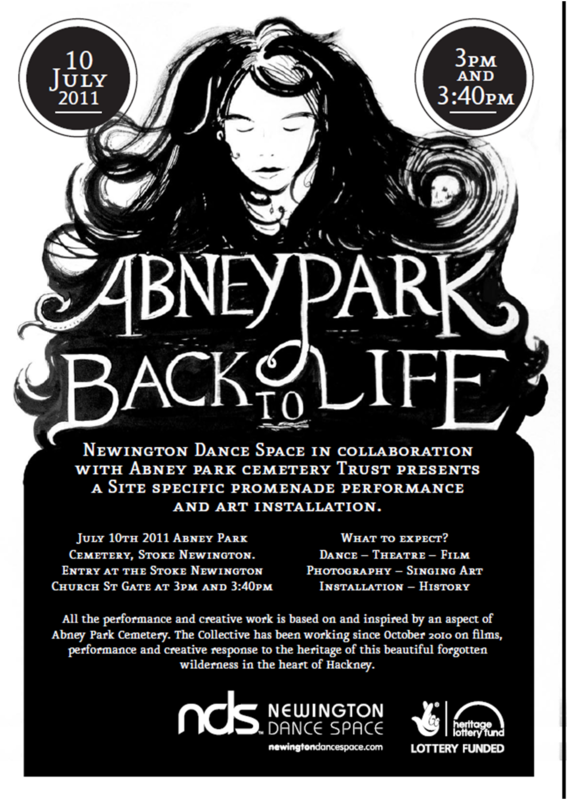 With over two hundred years of heritage and more than 240 thousand people buried in Abney Park, there is a lot of history to uncover!